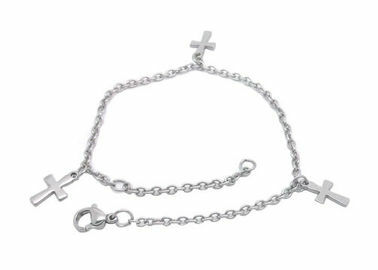 This anklet is with decorations of three mini-cross charms. This anklet is especially welcomed by Christians. We welcome OEM or ODM requirement.